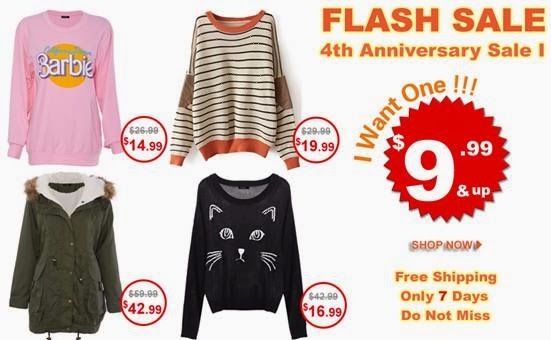 romwe greatest hits flash sale! Anyway, no use crying over spilled milk. Apparently, many others missed the chance and have requested for another flash sale and this one's a really, really good one! Aside from awesome deals, you also get the chance to win any of the items included in the sale just by leaving a comment on its photo at the ROMWE page found HERE.